I originally had the 1965 edition, and it got so dog eared and ragged from dew and use that I bought this one about 1978. How many others remember and used to cherish this guide? It was my first astronomy book too! Mine also became very "used" looking so I bought a new one. was hard to otherwise find back in the day. Still fun to go back and flip through it. Moved to Astro Art, Books, Websites & Other Media for better fit. Two books that got me into Astronomy were: "Stars" by Zim and "New Handbook of the Heavens" by Bernhard, Bennett and Rice. Still have both. You can order a copy from Amazon, Paperback, Hard Cover or Kindle. Just ordered a paperback copy. Is the price still $1.95? New edition $6.92 on Amazon. I had the Golden Guide series in Birds, Reptiles and Amphibians, Insects, Stars, and Scuba Diving. For a kid they were small enough to fit in the back pocket. Try doing that with a Peterson's. The book that first brought astronomy to my attention was A Primer for Stargazers by Henry M. Neely. I didn't read it at the time (I may have been all of five years old when I encountered the book). My father borrowed a copy from someone and taught himself the constellations to he could name them for his curious children. I have this snapshot memory of the book laying open to a page with a photo of circumpolar star trails. For some reason the picture captured my imagination at the time. A few years later I obtained a copy of The Sky Observer's Guide by Mayall et al and Stars by Zim and Baker. So those two would be the first astronomy books I actually owned. Wore them out by the time I was in my late teens, and reacquired them (same editions) through Alibris many years later. I just found my copy given to me when I was knee high to a grasshopper. $1.95. Copyright 1977. Published in Racine WI. It has been some time since I opened it. Years ago I scribbled the title to a movie I watched in 1985. Fandango. A combination road and coming-of-age movie I have been trying to remember for over 30 years. I just went online and listened to the Pat Metheny score and visited 1985 for 5 minutes. Now all I have to do is find this movie. So, while this book has not figured large and in my astronomy pursuits (The ABCs of Astronomy holds this title) it has been a very effective time machine. Just like looking at the stars is. Oh yes, loved that book. 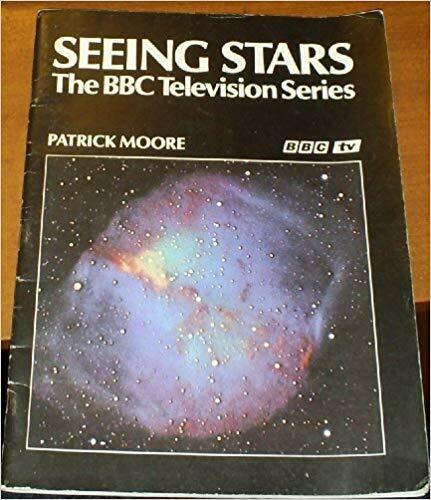 My Dad purchased that book and Seeing Stars (Patrick Moore) and a Philips Planisphere from the Adler Planetarium for me when I was 12 (1977). Those three items hooked me for life. Yes, I still have my copy, purchased by my dad. I have it as well and it's one of my favorite possessions. Got it on a class trip to the Hayden Planetarium in Manhattan in grade school. Can't tell you how many nights laying on my bed reading it as a boy. Mine is the 1977 edition so I was probably in 3rd or 4th grade. I also had a book called What's Up There? that I bought through the monthly book order at school. It had a color photo of the horse head nebula on the cover but the pages were all black & white. It was about 7"x 5". Anyone recall it? Just got my copy today, brings back fond memories. The Sky Observers Guide is a wonderful little book! 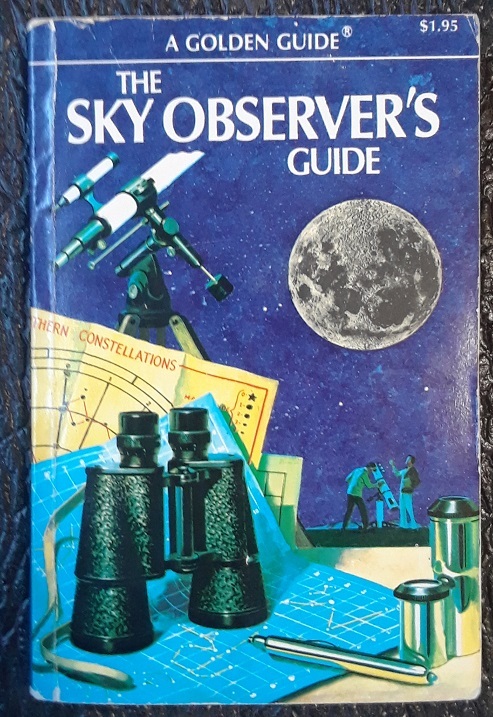 While Menzel's Field Guide To The Stars and Planets would probably be the book that really got me into this, The Sky Observer's Guide was one of my early ones and gave excellent, REALISTIC, advice and expectations to a budding observer. I can't seem to lay my hands on it right now, but my first copy was a tiny paperback, probably a '70's edition. A few years ago, I picked up a hardcover 1959 edition just 'cause I like it. Three books got me interested in astronomy when I was a kid. City at World's End: Science fiction novel (Edmund Hamilton, 1951). Tom Corbett: On the Trail of the Space Pirates: Science fiction novel (Rockwell & Ley, 1953). Stars: Golden Nature Book (Zim, Baker, & Irving; 1956 edition). And receiving a Gilbert 80-power 3-inch Reflecting Telescope for Christmas (1959). Edited by Crusty99, 02 April 2019 - 09:51 PM. He said "Gilbert!" That was a magical name when I was a kid. Had a Gilbert chemistry set and a microscope as a kid. Gilbert showed you wonders of the world as a kid. 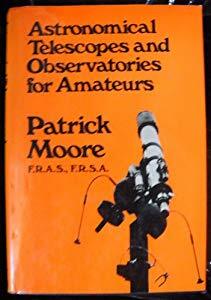 This was my telescope bible as a teenager in the 70's. One of those five books for $1.99 science book of the month clubs. When my dad was having to move into an assisted living place a few years ago, I remember running across it and my 70's Peterson Field Guide Stars and Planets. I have kicked myself in the behind for not grabbing both! Edited by kksmith, 03 April 2019 - 05:14 AM. Edited by Earthbound1, 03 April 2019 - 05:08 PM. The first astronomy book I owned for myself, bought it during a school trip to Morehead Planetarium in Chapel Hill NC. I have read this book so many times, I finally wore it out, I taped it together, and have bought 3 more. That cover was the first one they had, I have two of them, and the later ones have a different cover, but the inside is the same. Although outdated, the information in this book includes about everything you would want to know in a no-nonsense way that is easy to understand. I would say one of the best oldie but goodies out there. Does a late 70's Edmund Scientific catalog count? All those great looking reflectors! The 8th grade teacher had several years worth and I started daydreaming about something better than the nearly useless 40mm KMart scope I'd gotten for the previous Christmas which lit the fire. Needless to say, after a while I finally convinced my dad to buy that "big" 4 1/4" f10 reflector with the red tube and waiting by the window to the UPS truck to arrive. Miss those days and Sky and Tel filled with so many American made scope advertisements.